When I moved up north the yard I ended up with was in dire need of much love and tlc. It truly required a complete redo from the trees and shrubs right down to the lawn. Everything had to go. The only original section of the yard is a tiny 1×3 foot section in the back which is now my herb and bulb starting garden. 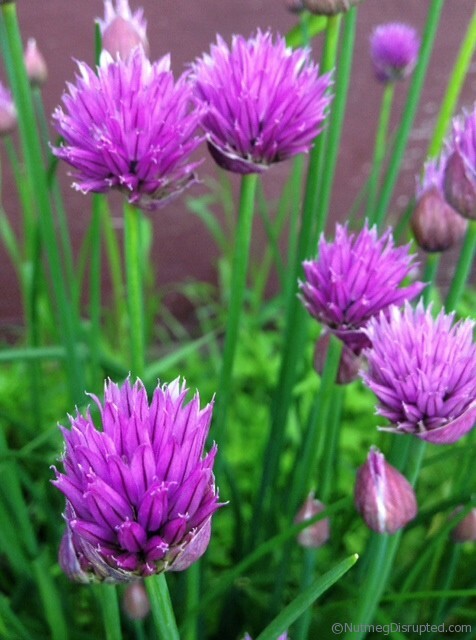 And that is strictly because of the chives that grow there. 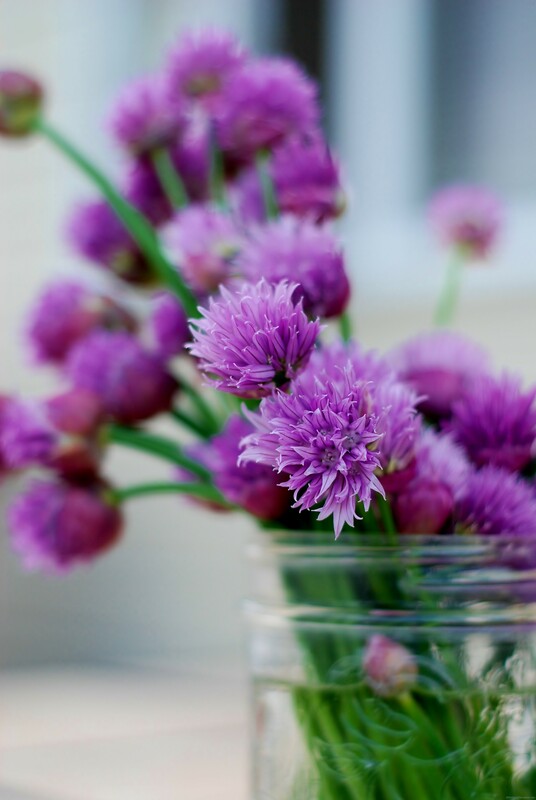 I love to use them in everything and it is always the first taste of spring to come from my yard. 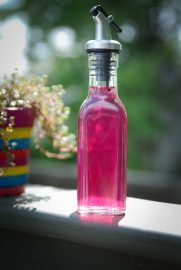 Somewhere last summer I seen a picture of a bottle of deep magenta colored vinegar made from chive blossoms. Seriously, a genius idea. And I immediately headed out back to pluck a handful of pungent purple flowers. I gave them a quick rinse then allowed them to air dry. 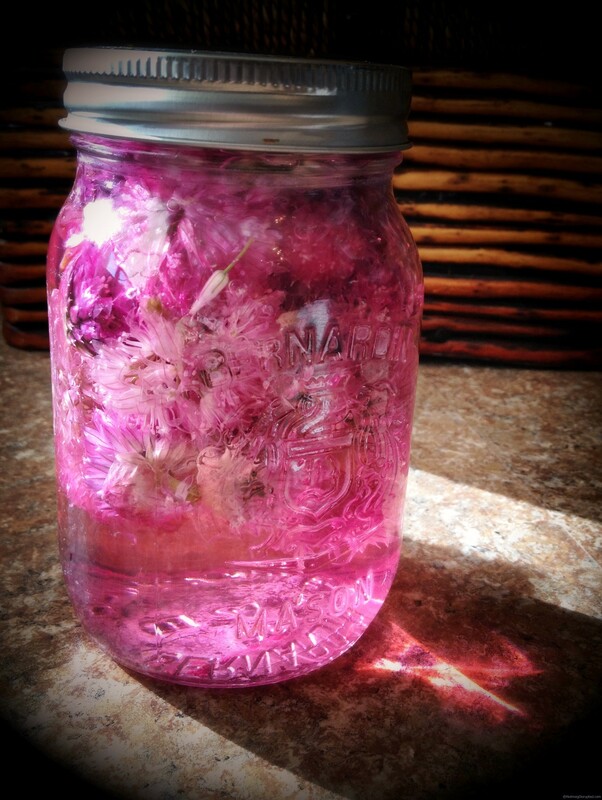 I filled a jar full of blossoms and covered them with regular white pickling vinegar. Store someplace dark for 2 weeks. It is fantastic! The blossoms give the vinegar an almost sweet onion aroma and the flavor is rich, tangy pure onion goodness. 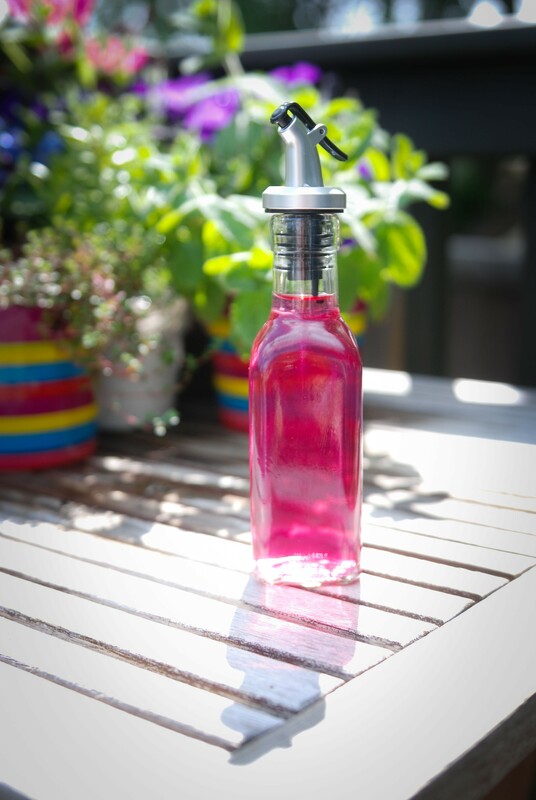 There is just an amazing freshness you get with the vinegar, it really is spectacular! I promise you, you make it once it will become a must have every season! You will love it! I use mine daily on salads, in my Caesar dressing, even on sliced tomatoes with a little salt and pepper. 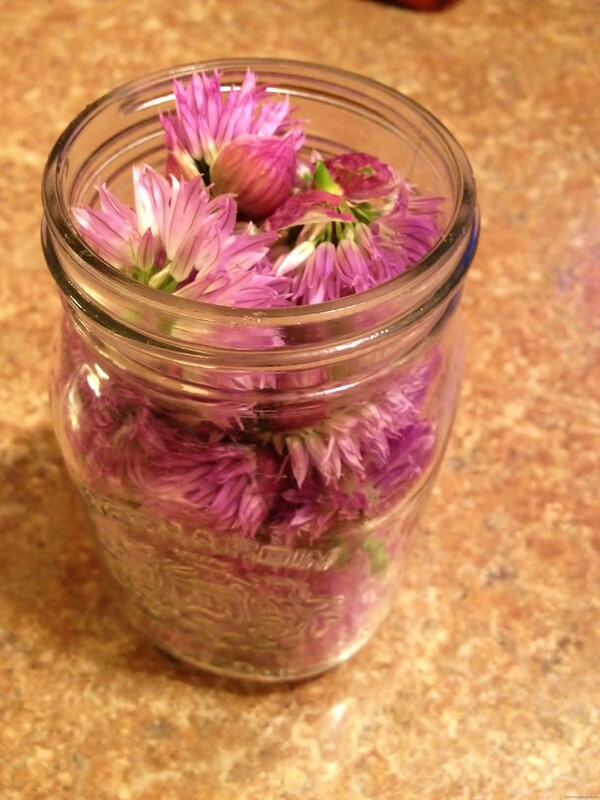 I’ve been wondering what to do with all my chive blossoms. I definitely need to give this a try. I just picked a bag full last night, they might make some beautiful vinegar. It tastes as amazing at it looks Markus! It really is Bridget! And it tastes amazing.